Want to upgrade the way of cleaning your home.? Here is the best opportunity for you to upgrade it at lowest possible price and quality product. As Amazon is selling Gala e-Quick Spin Mop with Easy Wheels and Bucket for Magic 360 Degree Cleaning (with 1 refill free) at just Rs. 1099 only. Gala is a reputed brand with very high quality products. Grab this awesome now. 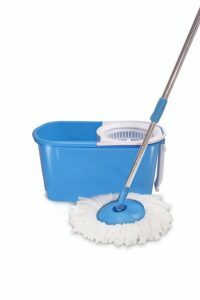 How to grab Gala e-Quick Spin Mop?